Delivering success across multiple regions for more than 10 years has helped us deepen our understanding of what enterprise customers expect of service providers. In a mission to further catapult your ability to create value for your customers, we’ve developed GlobillITMS as an Azure enterprise cost management solution. 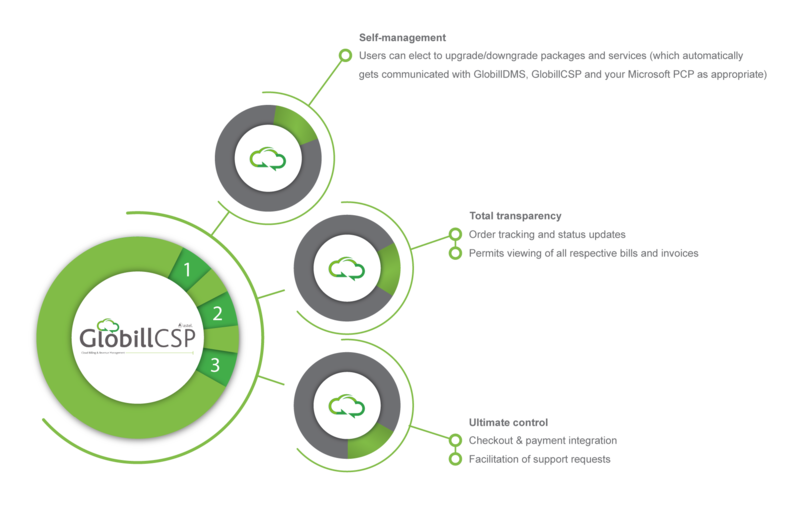 Not only will you be able to sell Cloud products and services, but now you can show your customers that you’re genuine about helping them optimise their own businesses too – without incurring development costs! 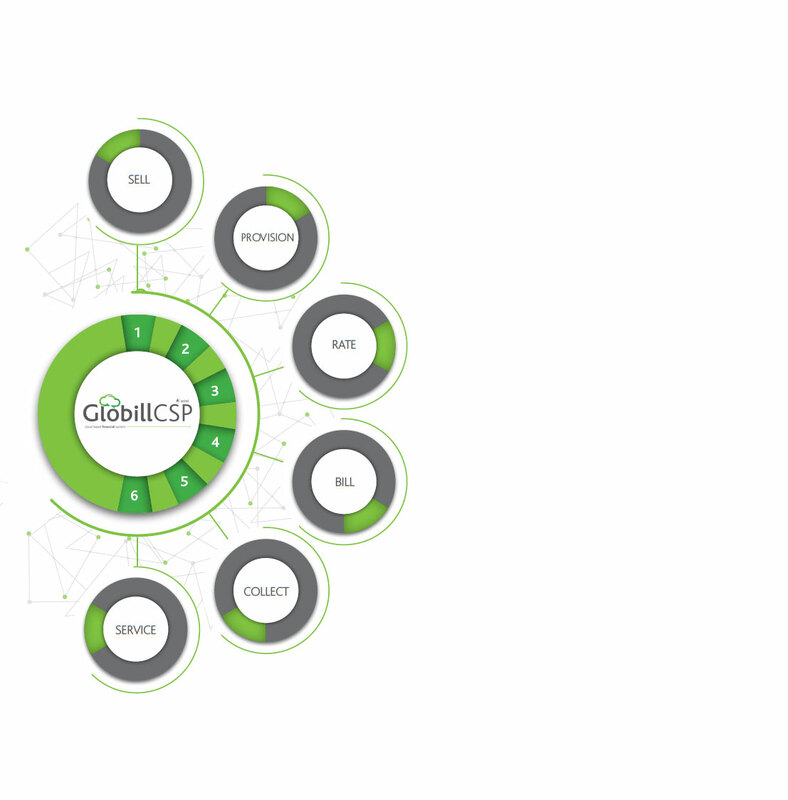 The fourth and final product you receive as part of the GlobillCSP application suite is GlobillSSP. Enabling your end-users with a personal portal through which they can each view their respective orders, status updates, control upgrades and/or downgrades and even view billing and invoicing history means that your cycle of building world-class customer experiences is complete. 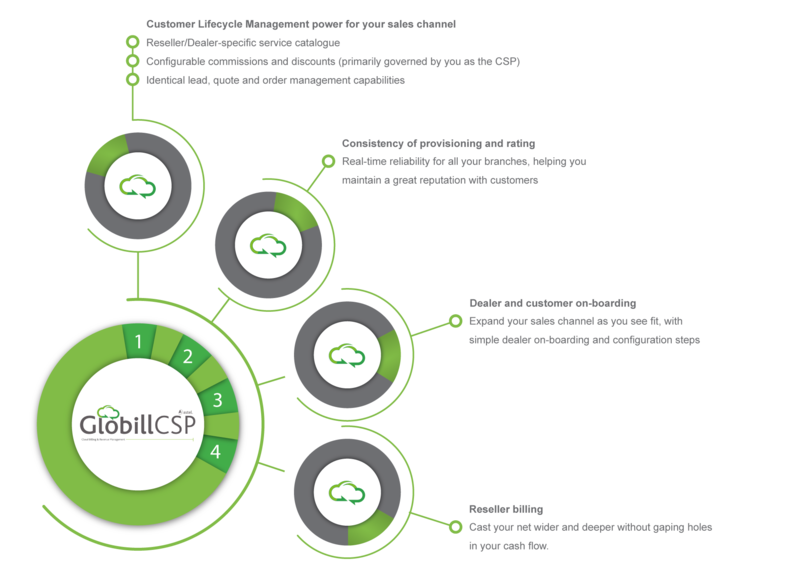 Place the power in the end-user’s hands and enjoy automated synchronisation between GlobillSSP, GlobillDMS, GlobillCSP and your Microsoft PCP. 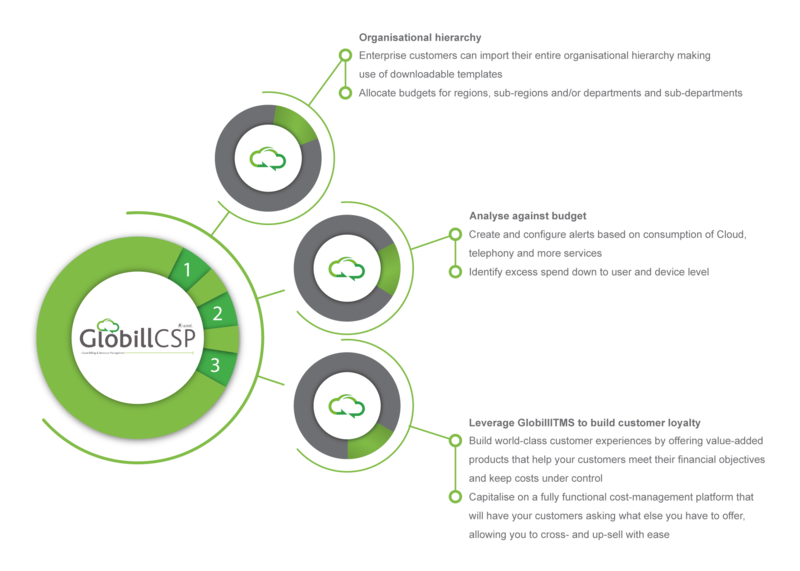 Free up time and resources – let GlobillCSP carry your Cloud operation to new heights!